What areas of the Australian coastline are included in the TRUE NORTH’s itineraries? The TRUE NORTH offers a variety of adventure-cruises around the Australian coast. 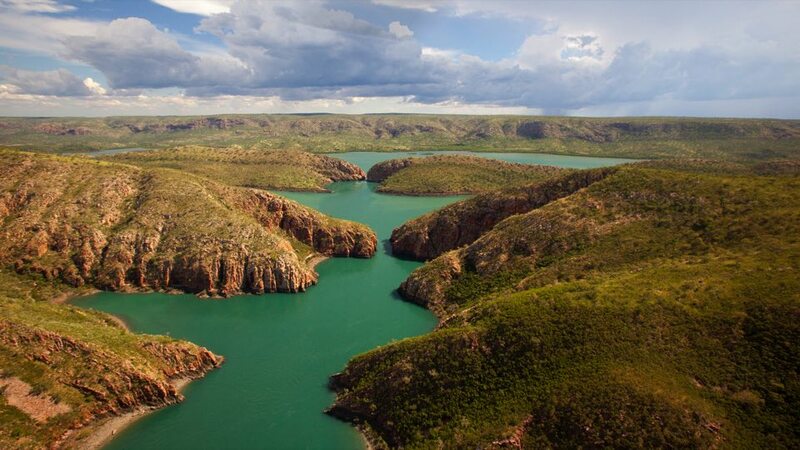 The ship’s flagship itinerary, the Kimberley Ultimate, features the vast Kimberley coastline – an area three times the size of England that remains wild and ruggedly beautiful. This northern region of Western Australia is perhaps one of the last great wilderness on earth. 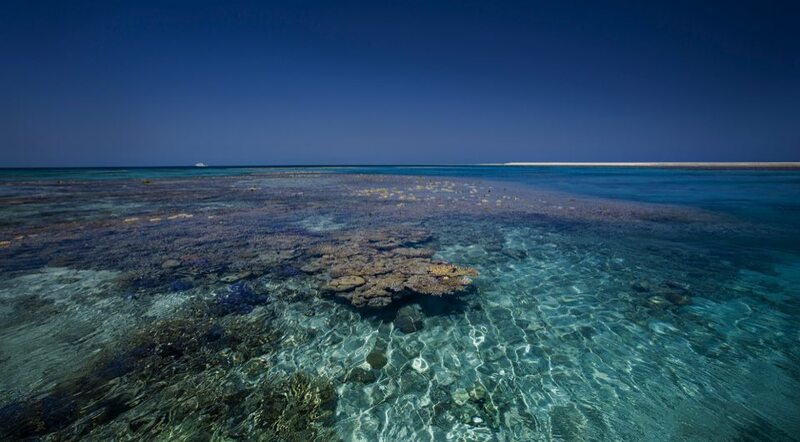 The West Coast Explorer includes the Abrolhos Islands, Ningaloo Reef and the Monte Bello Islands in a single cruise! 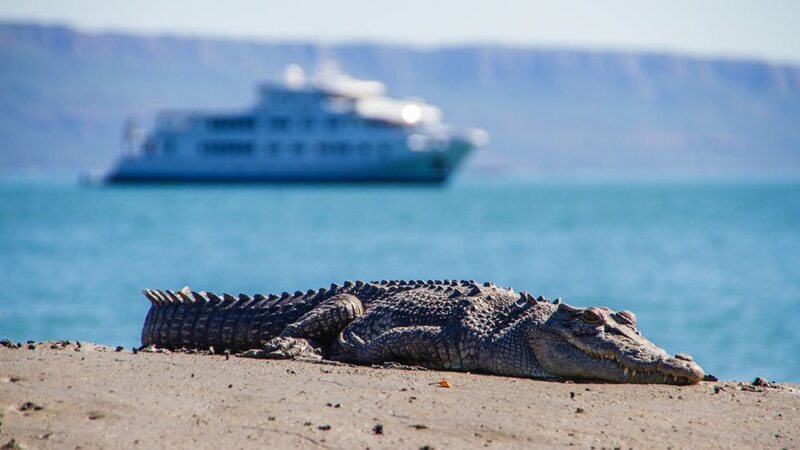 The TRUE NORTH’s Coral Atoll Cruise visits the Rowley Shoals – an untouched area of spectacular coral lying off the coast of Broome. The Rowley’s are often considered one of Australia’s most desirable snorkelling and diving destinations. More than 650 species of fish and 250 species of coral are known to occur yet even today their remoteness ensures that less than 300 visitors a year a fortunate enough to give testimony to the area’s brilliance! Sydney Rocks is an opportunity to spend the festive season on Sydney Harbour showcasing the start of the Sydney to Hobart Yacht Race on Boxing Day and the fireworks on NYE. 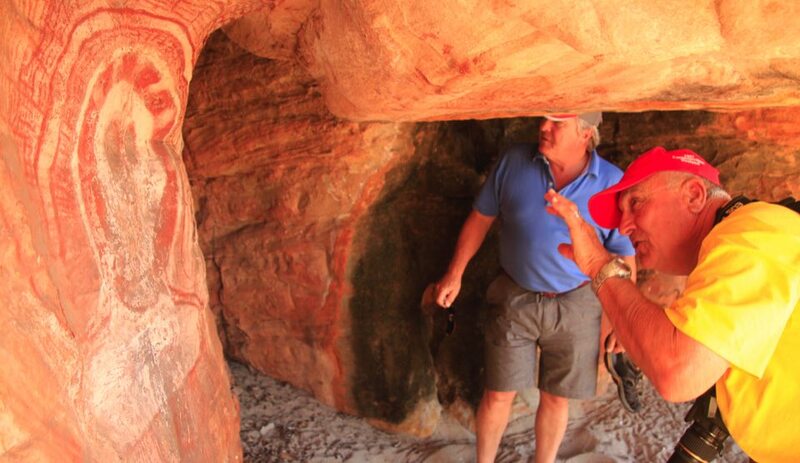 Guests can also experience the grace and beauty of South Australia on the Southern Safari. This cruise includes must-do Kangaroo Island, oyster-rich Coffin Bay and rarely visited gems such as Streaky Bay and Smokey Bay. What does the TRUE NORTH offer a traveller interested in exploring Australia’s coast? The TRUE NORTH’s sailing schedule is timed to ensure that access to Australia’s premier coastal regions occurs only at the best time of year. Access to remote areas is a unique point of difference on the TRUE NORTH. 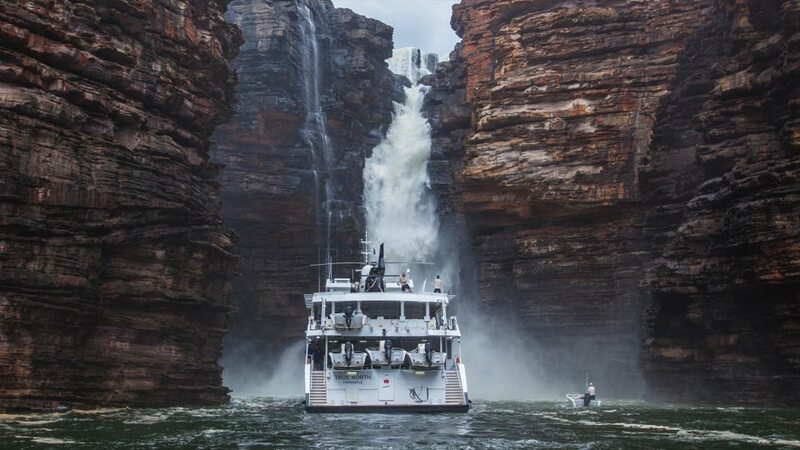 Purpose built to access rivers and shallow coastal regions, the TRUE NORTH can, for example, anchor right underneath a thundering Kimberley waterfall. The TRUE NORTH is the perfect platform for diving and snorkelling. Guests exploring the Rowley Shoals can expect 3 or 4 dives every day of the itinerary. Snorkelling equipment, dive cylinders and weights are provided complimentary. Unlimited tank fills are available on-board. 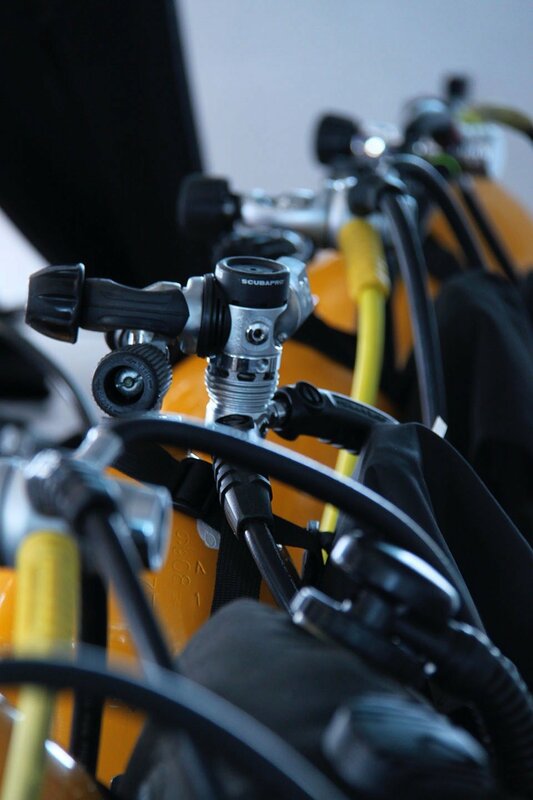 Personal dive equipment is available for hire (prior arrangement recommended). A ship’s helicopter also sets your coastal experience apart. 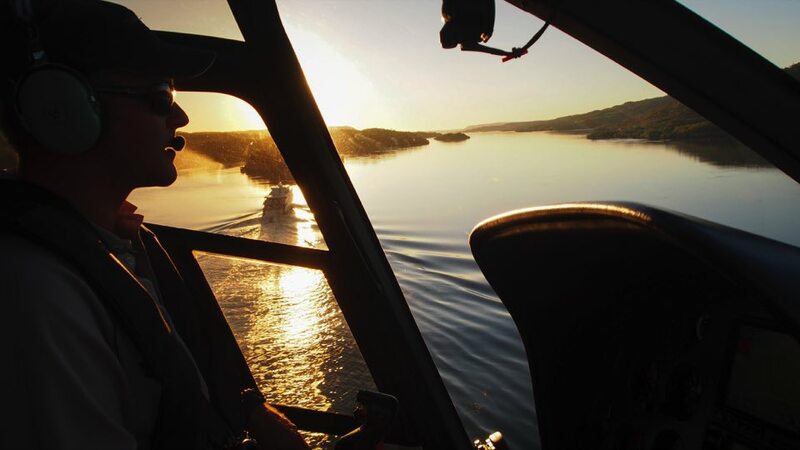 The TRUE NORTH has a full time helicopter that enables guests to experience the full breadth of the Australian coastline. The on-board standards are remarkable. After experiencing the best of Australia’s remarkable coastline guests relax in comfort and style aboard their floating boutique hotel. Cabins are spacious, the cuisine is modern and often complimented with fresh local produce. Enjoying world class food and wine in some of the world’s most remote coastal environments is something truly unique. What's involved with the TRUE NORTH’s offering for expedition-photographers? The TRUE NORTH has a ship’s videographer/photographer who records guest adventures for inclusion in the cruise video and the cruise photobook and, also provides guests with photography tips and advice. The crew understand the needs of photographers. They are happy to help set things up using their knowledge of the area and light conditions – in fact, they will go out of their way to ensure that the guest “gets the shot”. The crew on the TRUE NORTH are super accommodating, they have a “can do” attitude and they are simply the best in the business! Why can the TRUE NORTH offer more adventure? Guests on the TRUE NORTH get to do things that others don’t because the ship has been purposely built to access destinations that bigger ships can’t get to – it is the ultimate luxury adventure platform. 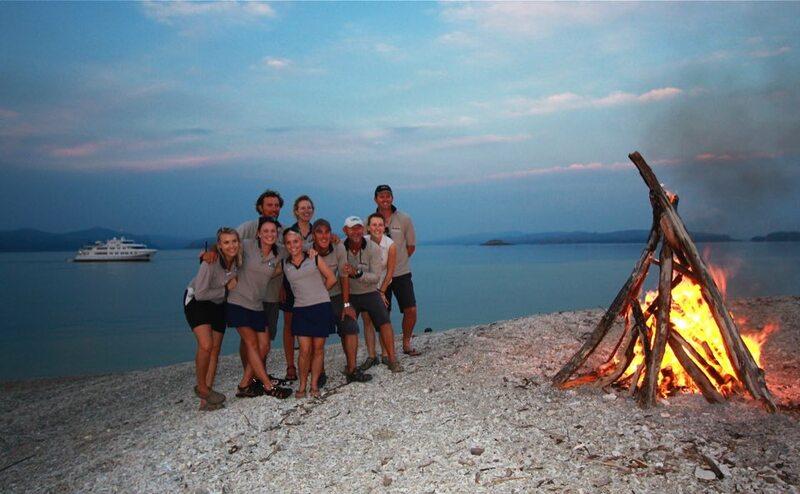 And, the crew are 100% committed to catering for individual interest - guests can be assured that the crew will do everything they can to cater for individually cater for adventure. What is the role of the naturalist that travels on board? The ship’s biologist and the TRUE NORTH’s guides provide guests with a greater appreciation of natural history and cultural events. They also frequently participate in research projects and lobby for greater care of coastal regions. The ship often also features artists-in-residence who help to highlight the need to protect coastal regions. Everyone working on-board the TRUE NORTH has a passion for the ship’s destinations. If guests desire a greater understanding of natural history and local culture the crew are always happy to share information and deliver greater insights. Is this the usual cruise offering? A TRUE NORTH cruise is always a very intimate Australian coast experience. Guests often feel an emotional connection on-board the TRUE NORTH. It’s an emotional attachment that arises from a very special set of experiences that many feel are unique to life on-board the TRUE NORTH.